Nominated by Dwight D. Eisenhower on April 6, 1954, to a seat vacated by Carroll C. Hincks. Confirmed by the Senate on April 23, 1954, and received commission on April 27, 1954. 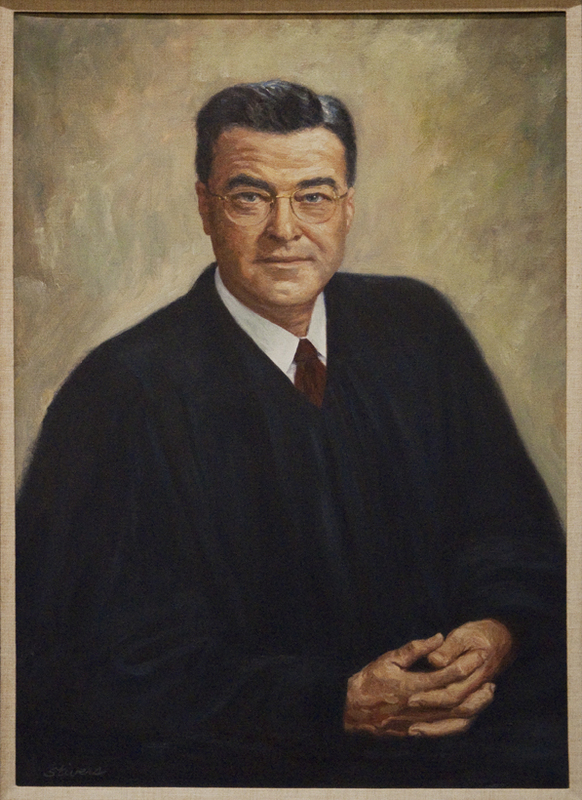 Served as chief judge, 1960-1964. Service terminated on August 20, 1964, due to appointment to another judicial position. Nominated by Lyndon B. Johnson on August 4, 1964, to a seat vacated by Charles Edward Clark. Confirmed by the Senate on August 15, 1964, and received commission on August 15, 1964. Assumed senior status on May 1, 1971. Service terminated on May 2, 1978, due to death. Robert Anderson; artist unknown; Oil on canvas; n.d.; Richard C. Lee U.S. Courthouse, U.S. District Court for the District of Connecticut, New Haven. Reference image courtesy of the U.S. Courts Library for the Second Circuit. Further reproduction prohibited without permission of the Clerk's Office, U.S. District Court for the District of Connecticut. Robert Anderson; artist unknown; Photograph; n.d.; U.S. Courts Library for the Second Circuit, Thurgood Marshall U.S. Courthouse, New York, N.Y.